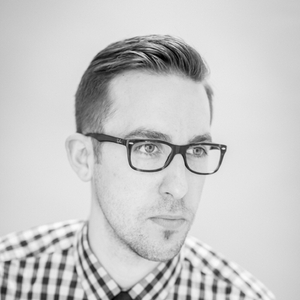 Brief tales of fiction in less than two minutes by Justin Hastings. A story about a limited police force... plus, a celebration of 100 episodes including my five favorites and a special announcement. Inspiration The kid was right — the body had been here far longer than she anticipated. Something was amiss. WE MADE IT TO 100 EPISODES! It's been a wild ride since we launched in October 2016. It's taken me longer to get to 100 stories than I would have liked, but it's worth celebrating regardless. Here are my favorite episodes from the first 100: * Post-presidency * In Case of Emergency * The Algorithm * Build-A-Kid Workshop * Too Far Into the Trees Also, you can now listen to the entire Two Minute Stories library on Spotify! We hope to find some new ears on the platform. Welcome to anyone listening on Spotify. As for today's story, I was interested in exploring a world where the funding for investigative resources was so small that crime scenes would often go unaddressed for weeks on end. There's something here that could be worth a future extension of this story... and perhaps another miniseries. Thanks to everyone for listening since we launched. We hope you'll join us for the next 100 episodes. Learn more Now you can listen on Spotify! Enjoyed this story? I would really appreciate a review on Apple Podcasts. You can also subscribe to Two Minute Stories on Apple Podcasts. Follow Two Minute Stories and Justin on Twitter. Inspiration Roger attempted to step forward but his body wouldn’t allow him. “One more sip,” his body ordered. This story came from the idea that the main character might misinterpret the word "spirits," which could mean a few things. I was intrigued by someone both under the influence of alcohol and looking to be influenced by another source... in this case, a psychic. How does someone deal with their own vices while seeking advice about strange occurrences in their home? Learn more Enjoyed this story? I would really appreciate a review on Apple Podcasts. You can also subscribe to Two Minute Stories on Apple Podcasts. Follow Two Minute Stories and Justin on Twitter. Inspiration I’m alone in my house with a family of six. This opening line to the story came to me and I immediately captured it with Evernote. I like the idea of the main character feeling like an outsider, even within her family – their different careers and interests serve as different languages and neither group is bilingual. As a creator, I sometimes feel it's difficult to share with people "the creative itch" that I often feel. When I get to scratch it and share work with the outside world, I feel satisfied and empowered to create more. Learn more Enjoyed this story? I would really appreciate a review on Apple Podcasts. You can also subscribe to Two Minute Stories on Apple Podcasts. Follow Two Minute Stories and Justin on Twitter. A story about living at sea. The sun shone bright across the community, a collection of homes traveling together across the ocean. What happens when our planet is covered by water? This story examines a world where houses still exist, but they do so on the sea rather than on land. I was interested to explore how a community of homes survives amongst seemingly impossible conditions... and if could life ever feel normal. Learn more Enjoyed this story? I would really appreciate a review on Apple Podcasts. You can also subscribe to Two Minute Stories on Apple Podcasts. Follow Two Minute Stories and Justin on Twitter. A story about war and the flag. Inspiration Not even the Army’s Regeneration Program could stop Father Time. The American flag has withstood the test of time for nearly 250 years. This story jumps us forward in time towards the quadricentennial of America's birth. There, I explore what it means to be an American soldier – how the flag still carries weight, especially when folks in the armed services constantly regenerate and return to battle. I was intrigued by an amazing technology that saves lives but that comes with plenty of side effects. Learn more Enjoyed this story? I would really appreciate a review on Apple Podcasts. You can also subscribe to Two Minute Stories on Apple Podcasts. Follow Two Minute Stories and Justin on Twitter. A story about extreme nutrition. Inspiration “We have to eat — exclusively eat — the most natural of elements.” In my short time on this earth, I've watched the collective intelligence around nutrition change rapidly. Vegetarians always seemed strange to me as a kid as I was unfamiliar with their nutritional behaviors. Fast forward to today and I don't find vegans any different than omnivores – it's simply a choice folks make about what to consume. In this story, I looked at a possible future for nutrition where the amount of varying foods we eat rapidly decreases. What would our world look like if we were guided to eat only a handful of items? Learn more Enjoyed this story? I would really appreciate a review on Apple Podcasts. 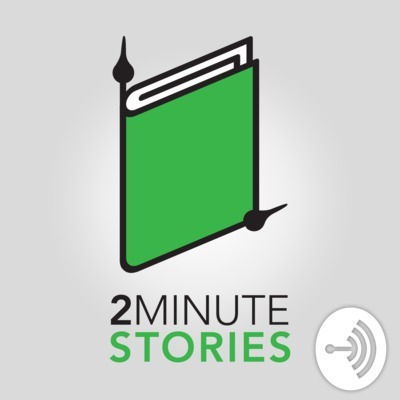 You can also subscribe to Two Minute Stories on Apple Podcasts. Follow Two Minute Stories and Justin on Twitter. A story about temporary death. Inspiration “15 years?!? But I’ve already been under for forty!” In a world where death is temporary, how does a cemetery operate? With this premise, we explore how an employee at a graveyard interacts with the buried. I was intrigued by the idea of death as a temporary state, where folks still expire but only for a short amount of time. Perhaps there is more to explore here around awakening the dead for specific reasons like population control or adding to the workforce. I may come back to this idea in a future, long-form story. Learn more Enjoyed this story? I would really appreciate a review on Apple Podcasts. You can also subscribe to Two Minute Stories on Apple Podcasts. Follow Two Minute Stories and Justin on Twitter. A story about motivation. Inspiration For some folks, money is the answer – they'll do absolutely anything to get more of it. For others, it's notoreity or fame or power. Motivation comes from many places, even amongst colleagues, friends, and family. I'm fascinated by these differences. This story looks at two coworkers who work for the same cause but do it for different reasons. One of the most telling differentiators is time spent on work, much like Elle and Jared, the characters in this story. Do they remind you of someone in your life? Learn more Enjoyed this story? I would really appreciate a review on Apple Podcasts. You can also subscribe to Two Minute Stories on Apple Podcasts. Follow Two Minute Stories and Justin on Twitter. A story about living underground. Inspiration Earth continues to get warmer and with it comes a devolving atmosphere. At some point in the future, humans will have to solve the problem of unsafe air. This story examines what happens when they are forced to live underground. How would emotions be tested with so many folks living in a finite space? I chose to write this story as mini vignettes – short paragraphs chronicling the underground world over several years. The idea might work as a longer miniseries. Previously, I created a 12-part miniseries called "The Masters." The story takes place at a town's annual spelling bee that boasts a unique set of rules. Interested? Start with episode 1 here. Learn more Enjoyed this story? I would really appreciate a review on Apple Podcasts. You can also subscribe to Two Minute Stories on Apple Podcasts. Follow Two Minute Stories and Justin on Twitter. A story about the fear of flying. Inspiration I do not like flying. This wasn't always the case, but as I've gotten older, my fear has only increased. This story looks at a character with a similar fear and a fellow passenger who tries to help. Learn more Enjoyed this story? I would really appreciate a review on Apple Podcasts. You can also subscribe to Two Minute Stories on Apple Podcasts. Follow Two Minute Stories and Justin on Twitter. A story about a vicious legacy. Inspiration There are evil deeds, evil acts, and evil strategies... but how does evil live on? In this story, I explored the idea of an act so evil, it would deeply effect future generations. Learn more Enjoyed this story? I would really appreciate a review on Apple Podcasts. You can also subscribe to Two Minute Stories on Apple Podcasts. Follow Two Minute Stories and Justin on Twitter. A story about connected bodies. Inspiration I was intrigued by Queen's lyric from "You're My Best Friend" – you know the one: "ooooo, you make me live!" It's not only a great song but a helpful launching pad for this story. What if another person truly made you live... or rather, kept you alive? This seems to be the scenario for the story's main characters. How does one function when one needs another? Learn more Enjoyed this story? I would really appreciate a review on Apple Podcasts. You can also subscribe to Two Minute Stories on Apple Podcasts. Follow Two Minute Stories and Justin on Twitter. A story about the power of help. Inspiration The power of meditation continues to grow throughout the world thanks to folks committed to spreading the word, an increase of digital meditative apps, and a growing focus on mental health. I, too, have found meditation to be helpful to reduce stress, practice mindfulness, and be present in the moment. Sometimes, it even helps my golf game! (Which could certainly use all the help it can get). In this story, I imagined a scenario where mindfulness and breathing might help in the most dire – and unexpected – situations. Who knows how far the power of meditation can take us? Learn more Enjoyed this story? I would really appreciate a review on Apple Podcasts. You can also subscribe to Two Minute Stories on Apple Podcasts. Follow Two Minute Stories and Justin on Twitter. A story about life stages. Inspiration I'm fascinated by the life changes that happen between the ages of 20 and 40. I often witness this at my day job, where I interact with folks across the spectrum of work life – just starting out all the way until pre-retirement. I find it interesting that in the relatively short amount of time between your early 20s and late 30s, your perspective, values, and lifestyle change drastically. This story, a conversation between co-workers, highlights those differences. Learn more Enjoyed this story? I would really appreciate a review on Apple Podcasts. You can also subscribe to Two Minute Stories on Apple Podcasts. Follow Two Minute Stories and Justin on Twitter. Inspiration There have been far too many examples in recent news about Americans choosing not to align themselves with other people or businesses based strictly on political party. Back a certain candidate or sitting representative? Well, that means everything about them must be wrong. This story takes that concept to the extreme, where a character chooses political alignment over the most valuable resource. Learn more Enjoyed this story? I would really appreciate a review on Apple Podcasts. You can also subscribe to Two Minute Stories on Apple Podcasts. Follow Two Minute Stories and Justin on Twitter. A story about athletics and safety. A story about reliance and recharging. A story about professional pretending. A story about spirituality and murder. A story about creation and children. A story about childhood wonder. A story about art and shortcuts. A story of winning and its responsibilities (extended length). A story about a proud, deadly woman. A story about persistence and adaptation. A story about exposing your behavior. A story about optimism versus truth. A story about privacy as a weapon. A story about searching for purpose. "The Masters" is a story about the fictitious annual Quail Valley Spelling Bee which boasts a unique set of rules. Listen to all 12 parts of the miniseries in this episode. A story of paranoia and marriage. A story about human rights and culture. A story about a constant battle with weather. A story of everlasting life. "The Good Book,” a story about the power of stories. A story about the power of stories. A story about going higher. A story about human emotion and intervening. “The Masters,” ep. 11/12: "Down to Two"
“The Masters,” ep. 10/12: "Mayor Betsy Nyland"
"The Masters," ep. 9/12: "Gina Reynolds"
"The Masters," ep. 8/12: "Jenny Lu"
"The Masters," ep. 7/12: "Deepak Donnelly"
"The Masters," ep. 6/12: "Kenneth Hush"
"The Masters," ep. 5/12: "Danica Fried"
"The Masters," ep. 4/12: "Dorothy Lee"
"The Masters," ep. 3/12: "George Bland"
"The Masters," ep. 2/12: "Benjamin Subbs"
"The Masters," ep. 1/12: "Quail Valley Spelling Bee"